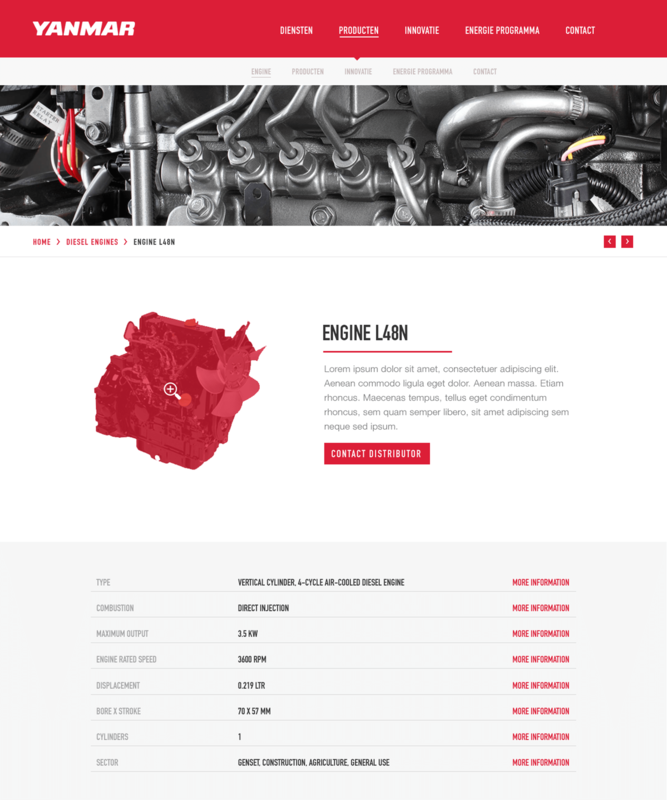 A full re-branding in design and front-end of the online communication for all the markets of Yanmar Europe, the largest dealer in engines worldwide. For the re-branding, I used the deep red from the logo as the main color throughout the design. 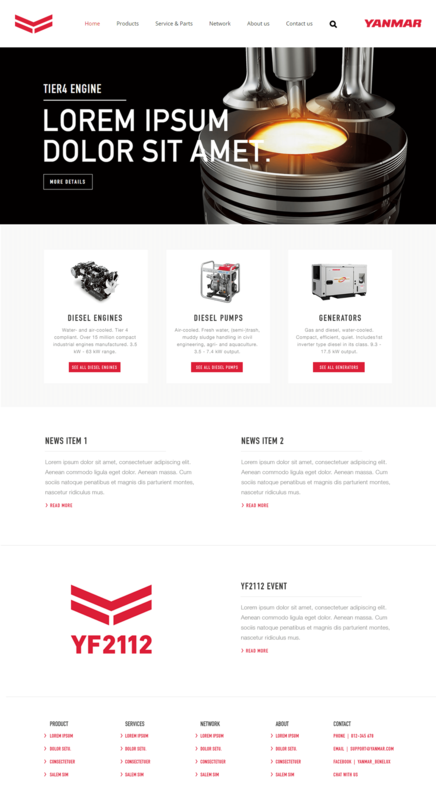 As a company that sells engines, it mainly focusses their business on male users. By giving the strong dark red a solid placement in the color scheme it communicates power and energy. I used the font DIN as the main font. By the strong geometry of the font, it communicates power and energy. This combined with the strong reds and the heavy contrast between white and black it stays close to the user group. I'm always designing with a story. What is the story that the user wants to hear? And how can I create the design that fits their needs and the needs of the company? In this case, I was creating a strong flow that started at the first step (select product group) and stopped at the last step (contact the dealer).